Browse your Personal and Team Drives without Leaving the Platform! Files from your Google Drive are handled and previewed just like any other attachment. 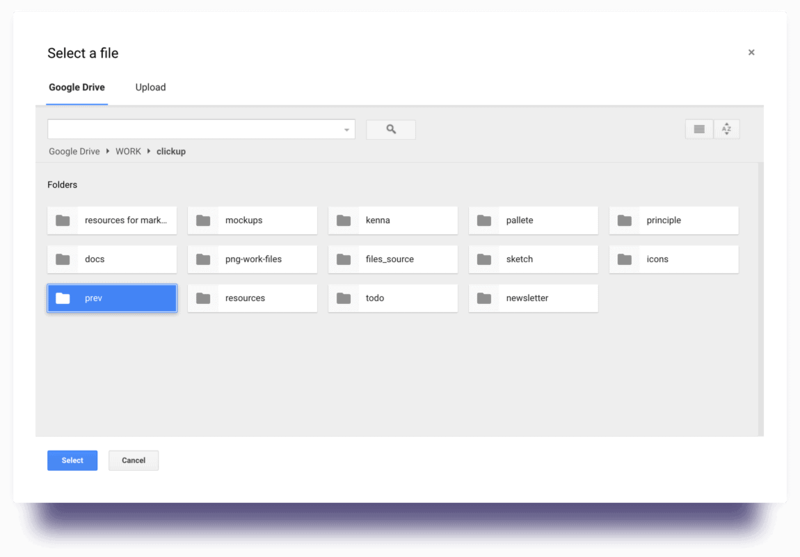 Reduce time and clicks by creating Google files inside of ClickUp. 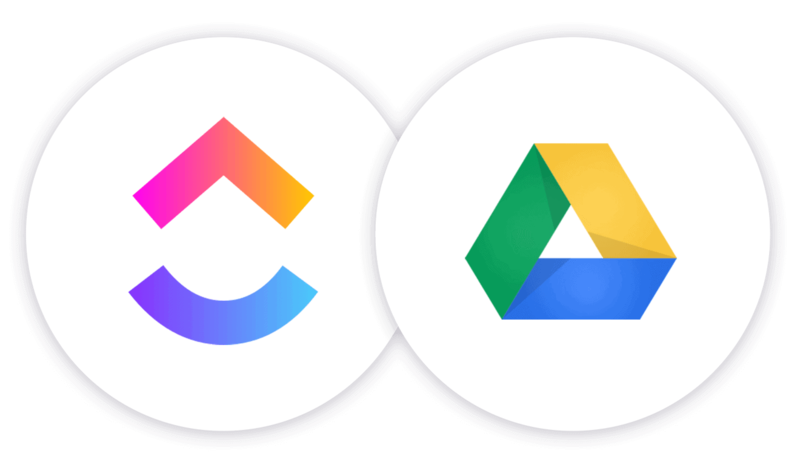 Any documents, drawings, sheets, or slides docs added will automatically be saved in Google Drive and attached to your task! 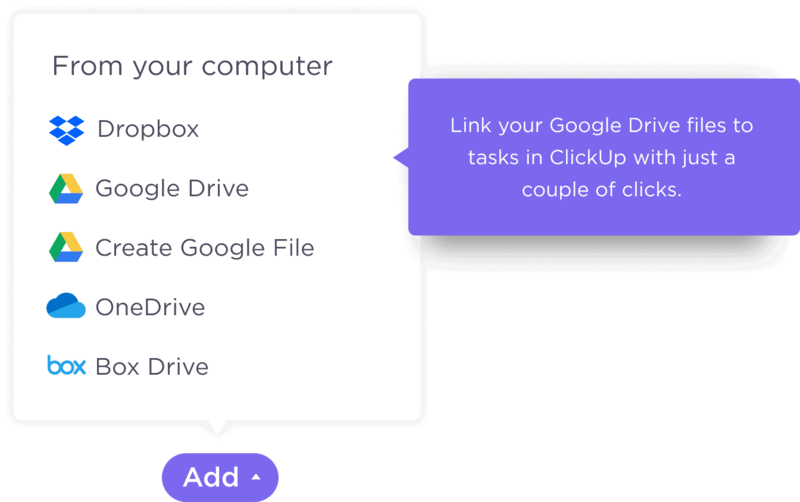 ClickUp users can link one Google or Dropbox account per Team. 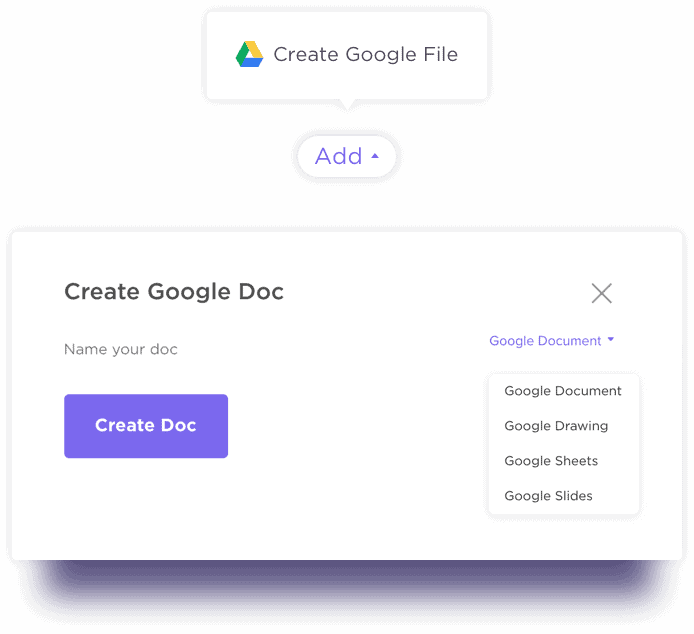 This lets you keep ClickUp Teams and Google Drives unique.  Looking for Another Cloud Storage Integration?